Fans of The Voice UK with very good memories will recall these cheeky chappies who have now joined forces in the hope of pushing the United Kingdom to the dizzying heights of the left-hand side of the Eurovision scoreboard: Joe (Woolford) and Jake (Shakeshaft). The day after Germany chose its entry, Joe and Jake were among six expectant acts at the 02 Forum in Kentish Town, London taking part in the first UK national final for several years, aptly named Eurovision: You Decide. Performing last, their upbeat offering, You're Not Alone, captured the bulk of the British public's votes - the actual voting pattern has not been revealed - and will now see more action on the Eurovision stage in Stockholm. Unlike many of the songs this year, this one is in its native language (ha! ), but joking aside, You're Not Alone has a very laddish Britpop feel about it. Bouncing along at a rate of knots, at times Joe and Jake sound like a mixture of One Direction and Coldplay with a splash of The Wanted stirred in for good measure. Not surprising really as one of its writers is Siva Kaneswaran of said Wanted. As a result, the song has a fresher, more youthful vibe than many of the UK's entries from the recent past and should appeal to a wide cross-section of the audience, especially younger voters who will be particularly engaged with the sound - as well as with Joe and Jake. All good so far, then. But if there is a fly in the ointment, it could be Joe's live vocals and performance skills. His lower register sounded shaky throughout the duo's performance at the national final, though he shines when he steps up to deliver the energetic and memorable (uh-oh oh) chorus. However, stumbling around like a still-drunk teenager who has partied too much the night before is not going to cut it. Mind you, if the video presentation is a clue to the pair's staging in Stockholm, then perhaps this is not so much of a concern. Hopefully, neither is the bottom quarter of the scoreboard. 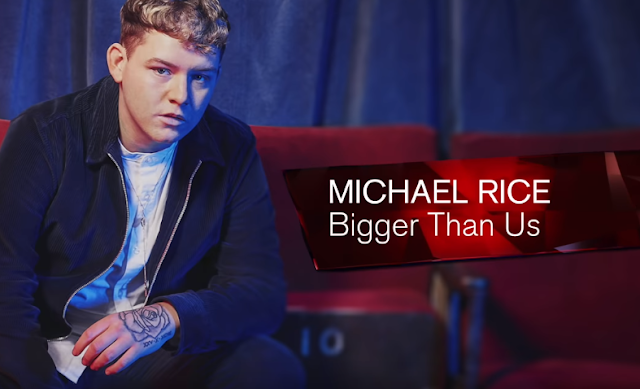 Thankfully, the majority of the reaction to the song has been positive so far and given that this is one of the best entries the UK has fielded for a long time, a place in the Top 10 is not an unthinkable proposition.